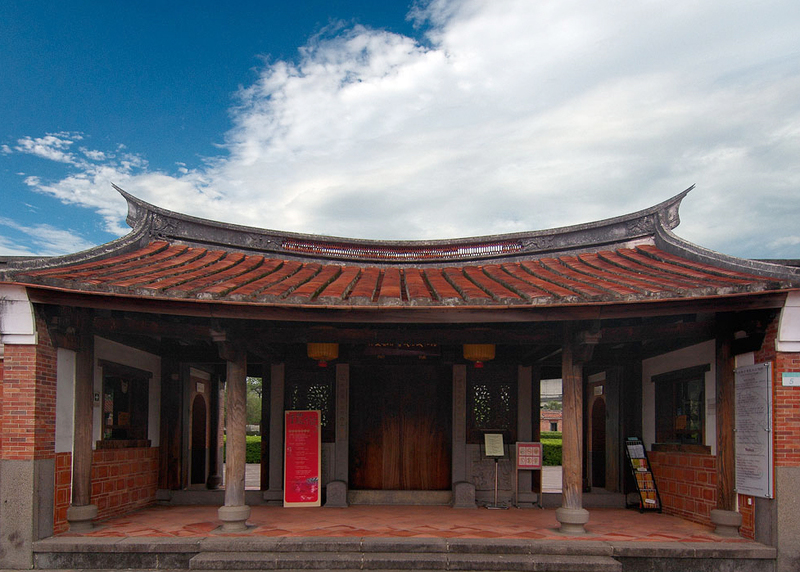 Lin An-Tai Historical House & Museum is located in Binjiang Park. The house is a traditional Chinese courtyard house with elegant decorations and is one of the few traditional houses preserved in northern Taiwan. 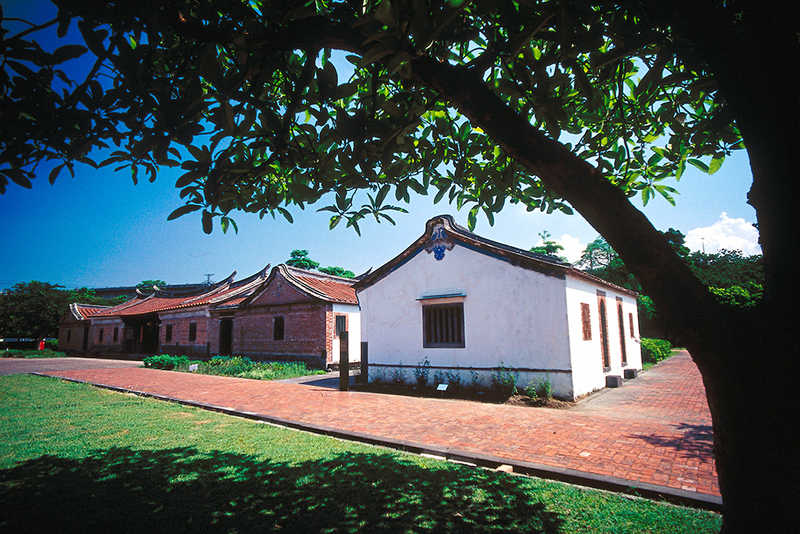 The Lin family came to Taiwan in the 18th century and engaged in trade in northern Taiwan. With the money they made, they built a house and named it. Today, the house is over 160 years old. 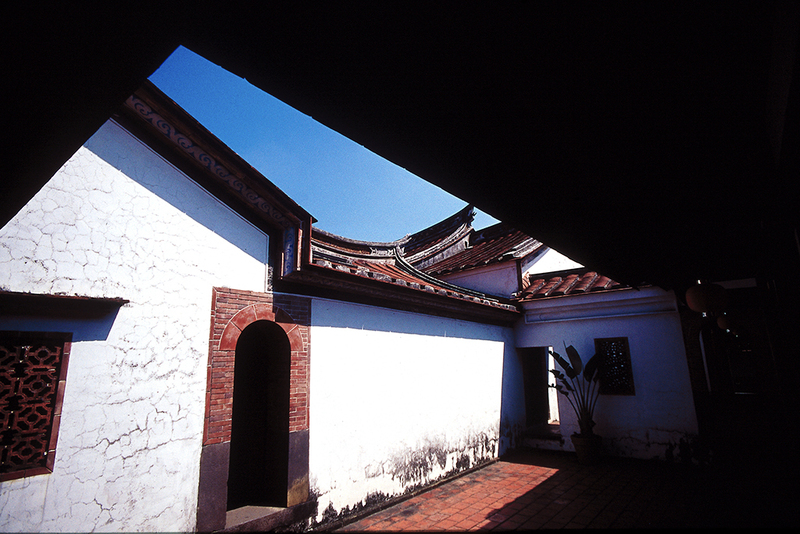 It is the best-preserved and maintained ancient house in Taipei City. Lin An-Tai Historical House & Museum is famous for its delicate carvings; one of the examples is the creative dragon carving on the front door. There are six dragons, representing the six sons in the family. The carvings of vases and bats carry the meanings of good luck, wealth and safety. Some of the tiles and bricks of this ancient building have been restored due to its long history, but the stones and woods have remained intact over the long years. The crescent shaped pond in front of the building was used for defense, raising fish, prevent fire, water supply and keep a moderate temperature. Nat'l Hwy 1 →Exit to Yuanshan Interchange → Songjiang Rd. → Minzu E. Rd. → Sec. 3, Xinsheng N. Rd. → Binjiang St.
Take the THSR or train to Taipei Station, transfer Taipei City Bus (No. 222) to Xinsheng Park (Lin An Tai Historical Home) stop.